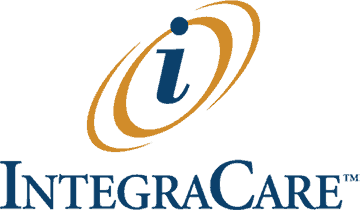 PITTSBURGH, Pa. – In its fourth year, IntegraCare’s Continued Attendance Rewards (CAR) Program has evolved into one of the most anticipated events of the year for employees in 10 senior living communities located in Pennsylvania and Maryland. The CAR Program awards a new car to a dedicated IntegraCare employee based on consistent attendance throughout the previous year. This year’s winner of a new red Ford Eco Sport will be announced on Jan. 30 via IntegraCare’s Facebook Live page. Additionally, three grand prize winners will be named at each of the 10 communities. Two IntegraCare employees will drive to the community where the winner is employed. The location is a secret until unveiled during the Facebook Live reveal. Once on site, winner’s name is announced on the live video. Previous new car winner Sharon Edby of Newhaven Court at Lindwood had similar sentiments. IntegraCare employee satisfaction has improved. Three IntegraCare communities saw double-digit reduction in turnover from 2017. Candle Light Cove saw an 87 percent improvement in turnover reduction. Colonial Courtyard at Tyrone had a 19 percent improvement. Magnolias of Chambersburg had a 17 percent improvement. Perfect attendance improved or remained the same in nine of the 10 communities. Newhaven Court at Clearview had a 66 percent improvement in perfect attendance over the previous year. First prize, big-screen television, one-year subscription to Netflix, one week of vacation. Second prize, iPad, Amazon Prime membership, one week of vacation. Third prize, FitBit Versa, Amazon Prime membership, one week of vacation. Guidelines for the program stated that team members received a raffle ticket for each payroll they achieved perfect attendance. For each consecutive payroll period with perfect attendance, all employees received additional tickets equaling the number of consecutive periods of perfect attendance. WATCH LIVE at 3pm on IntegraCare Senior Living’s Facebook Page to see who will win the 2018 CAR Program Grand Prize! For more information, contact Eric Walker, IntegraCare Executive Director of Sales and Marketing, at ewalker@integracare.com or 724.940.5544, Ext. 114.